Considering today’s recent market events, investors should seriously start making changes to their investment portfolio. But then again this doesn’t mean you should make rapid decisions with no solid basis. Before deciding on an alternative type of investment, you need to assess risks and available budget. The investment market is quite volatile these days. That’s why it is important to make an informed decision. Here are some tips to help you diversify your portfolio and invest in alternatives with great profit potential. Many people looking for an alternative investment to help diversify their portfolio should first make sure that their source is reliable. Whether you’re dealing with a placement agent, broker, or online investment platform, it is important to be cautious. Search for an accurate, legitimate and certified source, and avoid bogus deals that seem too good to be true. Next, assess your level of expertise in that new market. Illiquid alternative assets such as hedge funds, venture capital, private companies and private equity demand investors to be accredited. Prior to hunting the market for the best deals, you must first confirm that you’re qualified to participate. Before investing in alternative assets and diversify your portfolio, you are advised to assess the target assets you want to invest in; especially if you’ve decided to invest online. Certain platforms are aimed at startup equities, whereas others have a complete range of asset types. Craving a specific asset might get in the way of the platform that it the most helpful when seeking relevant investment deals. Before spending any money and investing in an alternative asset, you should assess risks. How long do you estimate it will take for your initial investment to pay off? Investing in private equity funds for example, can take decades to start making profit. It is important to know that different assets come with a different level of risks and returns. Before jumping in and deciding on a type of asset, you might want to have a clear understanding of the risks involved. Every qualified investor has access to specific set of tools. Do your due diligence and find the ones that best match with your investment goals and potential. Most online investment platforms feature minimum disclosure standards to make sure all investors are in full capacity of making well-informed decisions. The best thing you can do is make a sensible investment decision. Review offering materials and do your due diligence on third party service providers that are directly linked to your goals. Maintain professional business relationships with partners and you’ll have the highest chances of succeeding in the alternative investment business environment. As an investor, having a diversified portfolio is a great way of building wealth. However, in order to make a good profit from alternative assets, you must also assess the fees involved. Some online platforms charge a certain fee for their services; have a clear understanding of the created value so that you warrant the fees involved. Furthermore, it is equally important to know everything there is to know about fee funds and structures. Whenever we hear about alternative investments, we think of stocks, bonds and real estate. But there’s more to alternative assets than meets the eye. While stocks and bonds require vast experience, when it comes to real estate things are a lot easier. Everyone can buy property and then use it to general income by renting. Of course, this sector is particularly vast. Only a professional knows how to flip house and make a fortune. As for other types of investments many new investors and entrepreneurs have started to pay more attention to fine wine. Investing in wine seems easy. In theory, it is. We’re talking about an asset that is tax-free and quite appealing too. But then again, making money with wine is a lot more challenging than meets the eye. Focus on first-growths from Bordeaux, Tuscany and Burgundy, and avoid dealing with people claiming to hold exclusive cases. 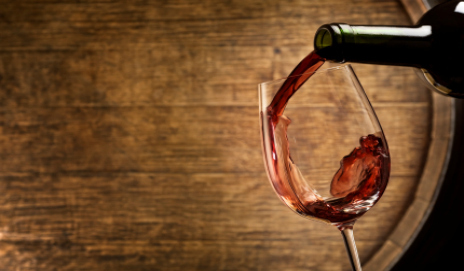 The wine business is particularly volatile; only an experienced wine merchant can help you make the best decisions. Take things slow and get to know the market first. Only then you’ll be able to understand whether or not investing in wine is worthwhile.